Robert Berliner applies his problem-solving and deal-making skills to the art of mediation. Over 95% of the disputes that Bob has mediated have resulted in settlement. His uncommon blend of real-world business and legal expertise gives him a unique and powerful perspective as a mediator. Bob believes that mediation enables the parties to resolve their dispute by considering business, relationship and other interests that go far beyond the legal issues that a judge or arbitrator can decide. People are much more likely to be satisfied with an outcome to which they agree in mediation than with an outcome forced upon them by a decision of a third party. While many mediators have practiced law, Bob is one of the few who combine that experience with a background in business. Bob understands how people involved in business conflicts usually have interests much broader than mere legal issues. As such, he is well equipped to help parties identify the widest possible range of options for settling disputes. As a skilled and experienced attorney, he also brings a full understanding of the legal backdrop that informs any dispute and that may become of paramount importance if the parties are unable to resolve their dispute. Parties to a dispute mediated by Bob put their trust in him to use his seasoned outlook and vast experience to get to the heart of the dispute and help them find the common ground that leads to an outcome acceptable to all. 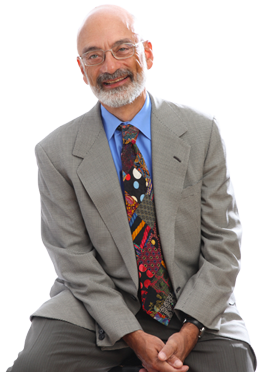 To learn more about Bob’s mediation expertise and approach, contact him directly. This site is intended to provide general information about the services, including legal services, offered by The Berliner Group. It has been designed for marketing and advertising purposes, rather than to give legal advice. If you desire "legal advice" please click on the "Contact Us" link or consult with another attorney who is licensed to practice law in the state of Illinois.